We are a group of friends from Mumbai, who are trying to help our friend Krishna Mohan Rao. 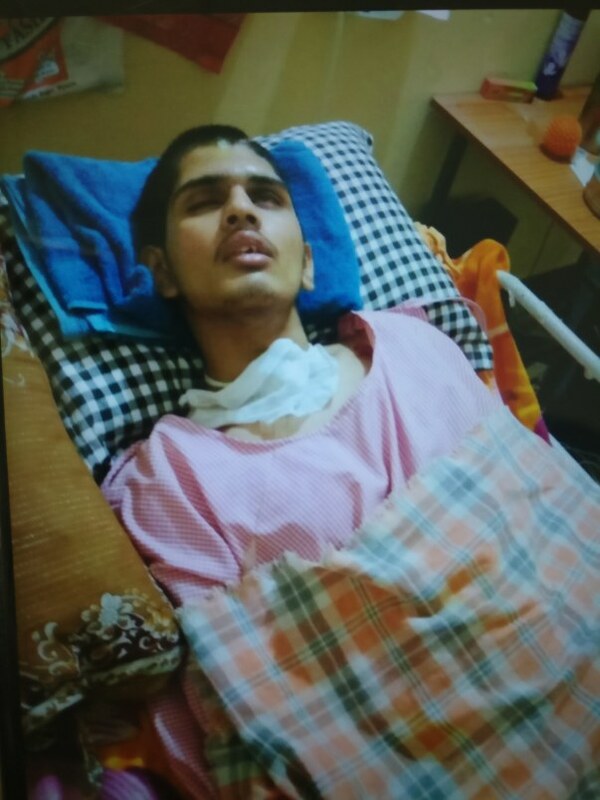 Krishna has a younger brother, Pavan Rao aged 21yrs old, who requires our help and prayers. 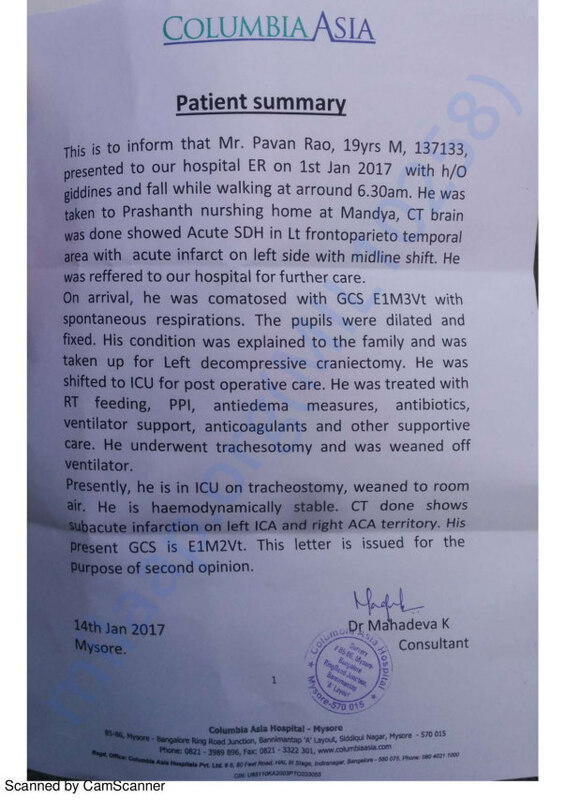 Pavan suffered from a brain stroke on 1st of January, 2017 and has been in a state of COMA since then. He stays at Mandya(Karnataka), but due to lack of medical facility there, he was shifted to the Columbia Asia hospital in Mysore. 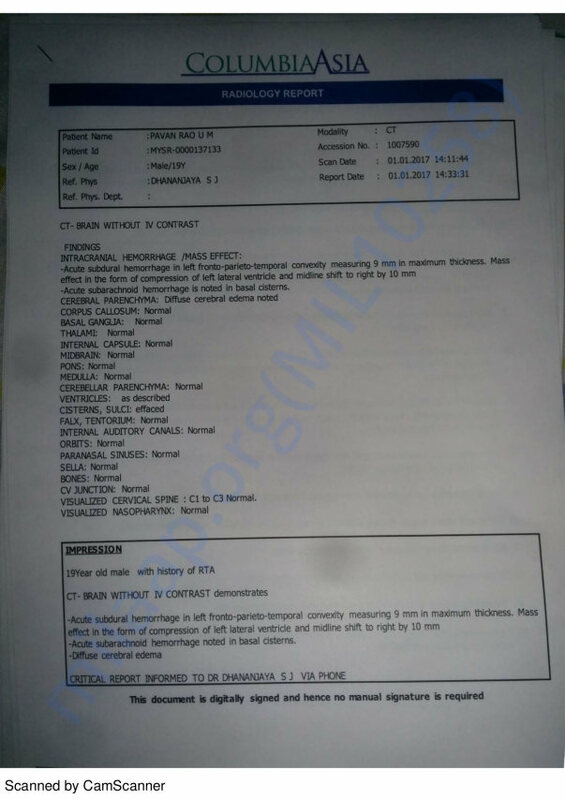 As per the doctors, the brain stroke has damaged dominant areas of his brain. Because of this, even when he recovers, he would be dependant on others help for his day to day activities. 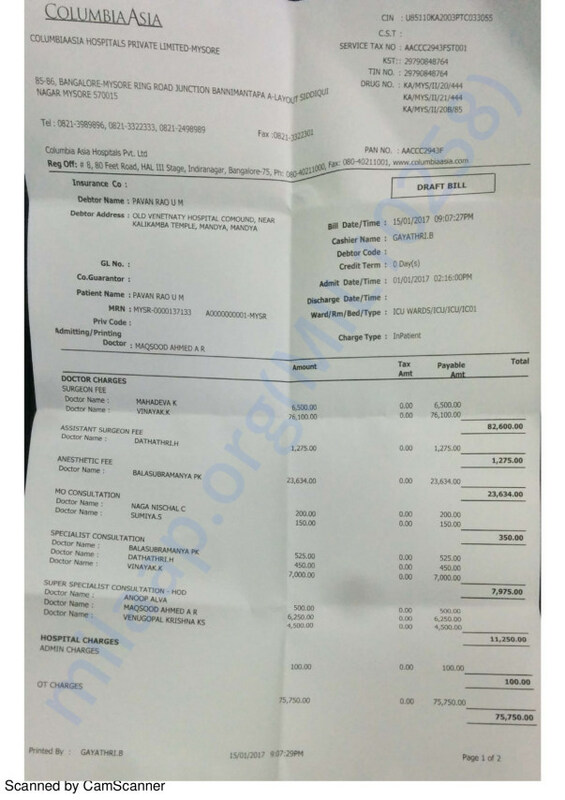 The medical expenses have already crossed a whooping amount of 4.8Lakhs till date. 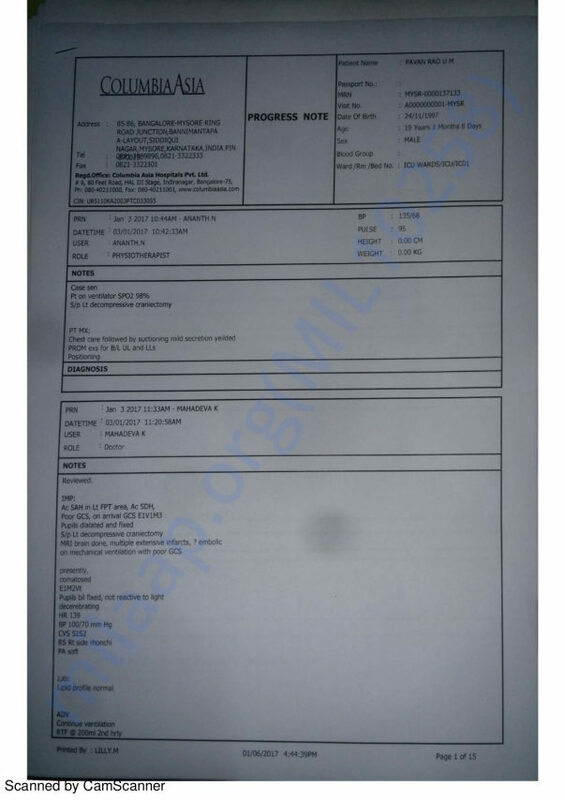 Currently, he is in ICU and daily expense is around INR 20,000. Likewise, the further treatment would also require a lot of funding. It will be difficult for the family to bear these expenses. We, as a group are trying to help as much as we can and would also request one and all reading this, to contribute as much as you can to help Pavan and his family to recover. Your contribution can save a life ! Sincere Thanks to all the donors for supporting Pavan so far. 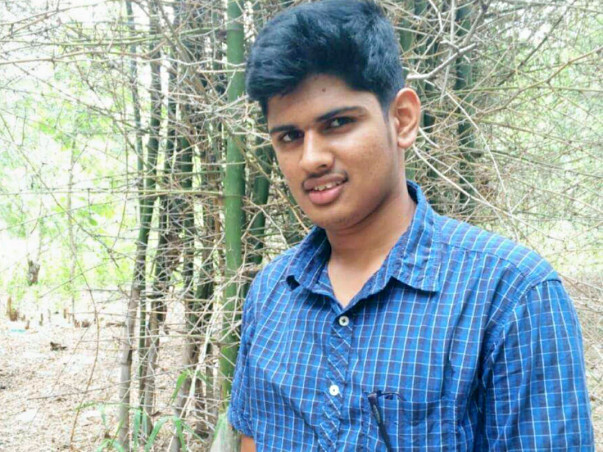 Pavan is still in Coma and being taken care by his brother and parents in Bangalore. The family still needs lots of prayers and financial support. He underwent another surgery towards his treatment in April 2017. Your support will definitely keep the hopes for Pavan and his family alive ! Yet again, Thank you for all the unconditional contribution. Pavan has been taken out of ICU from 19-Jan-2017. Its certainly a big relief for family & friends. Pavan is still in COMA state and yet to show positive responses for all treatments being provided by Columbia-Asia hospital doctors. Having all the hope & faith in God, Pavan will recover soon from current state. 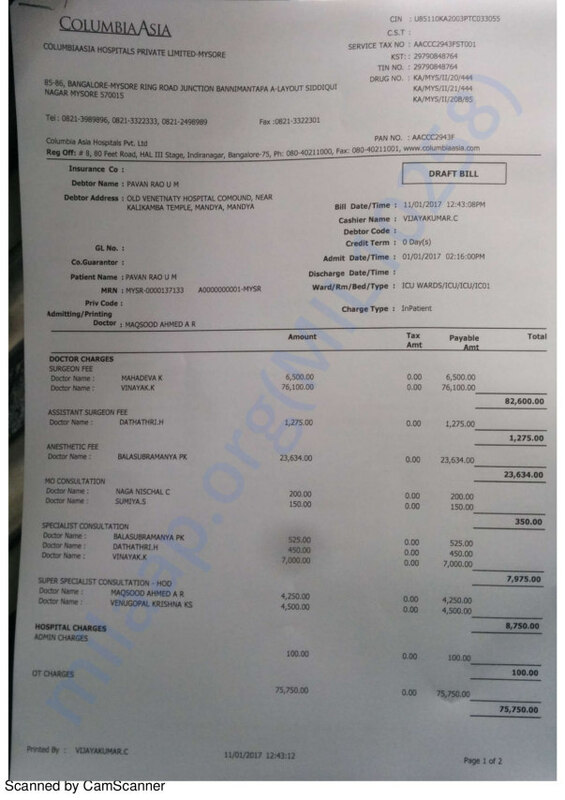 Current medical expenses have touched more than 6 lakhs and it will be continued to grow for further treatment and care for Pavan. Firstly, we would like to thank for all the unconditional contribution and prayers for Pavan and family. 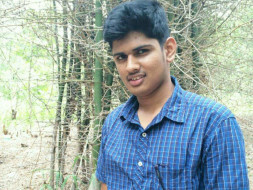 Pavan is still in COMA state and being treated in ICU of Columbia Asia Hospital, Mysore. Considering his medical condition now, doctors are expecting him to be shifted soon to normal ward with minimum life support (ventilator). We thank you for your prayers and contribution and hope that you will continue them by sharing to help Pavan and his family during this tough time.